Chennai Super Kings chief coach Stephen Fleming categorically dismissed perception that they have picked a bunch of "spent" players. CSK, returning to the IPL after serving a two-year suspension period, have players in their mid-30s such as captain MS Dhoni, Shane Watson and Dwayne Bravo. “There's also about the quality of player, like (Dwayne) Bravo is still competing well, (Shane) Watson's competing well, Harbhajan (Singh) has great skill sets and Dhoni is a fine leader. So the players we've picked, I don't think they're spent by any means. It's a year-by year proposition and this year I think they look very good,” the New Zealader asserted. “I think we've prepared well. (It's) just a lot of nerves around, but no more than normal. Players want to get into it and we've had the best part of 12 days leading into the competition. The general feeling is we're just ready to go. “It's a great rivalry (CSK and MI) and this is what the competition needs. We couldn't have asked for a better game to start with. A game of this intensity at this ground is always a thrill. So the players are excited about it,” he added. The two teams had last met in the final of the 2015 edition which went in favour of MI after which CSK were suspended for two years. 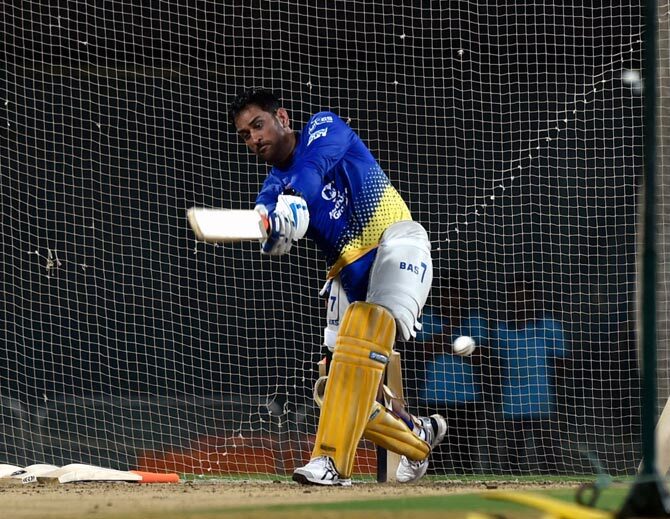 CSK, led by India's 2011 World Cup-winning skipper Dhoni has found MI a hard nut to crack at their den and Fleming acknowledged the huge challenge his star-studded side faced. “It's hard to win just as we are also hard to beat in Chennai. And that's an aspect of successful teams. They defend their home patch well. Great challenge for us to start, wouldn't have wanted it any other way,” said the former New Zealand skipper. Confirming that South African captain Faf du Plessis won't play Friday’s opener due to his finger injury, Fleming welcomed the introduction of DRS in IPL. "DRS, if it's used properly is positive. If it can help the game get the bad one right, then it's a good thing,” he said.